I have been silent for some months but not because I have stopped working on Peak Oil. The opposite is the case. At the moment I am 100% focussed on writing a new edition of my book Peeking at Peak Oil. 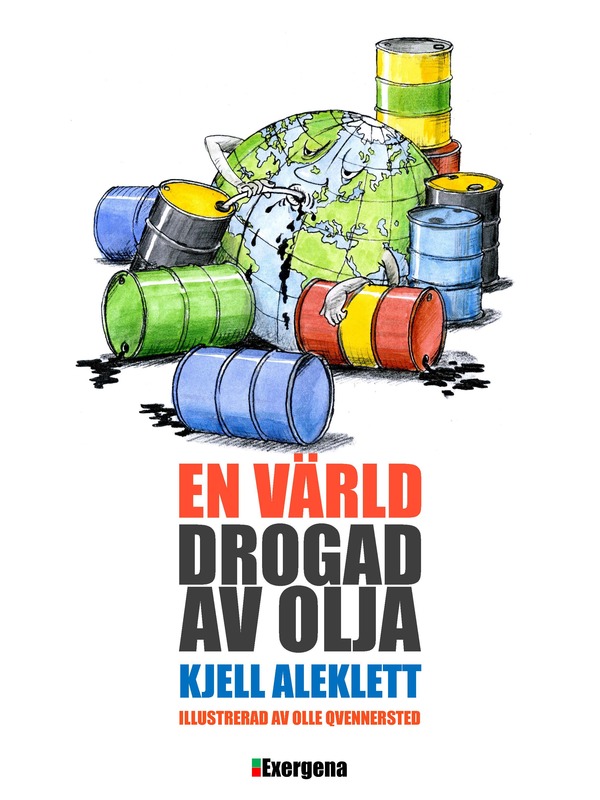 The book will also be available in Swedish under the title, “En värld drogad av olja” [A World Addicted to Oil]. It will be announced at the book exhibition in Gothenburg on 24-27 September. If you wish to visit me at the book exhibition then look for booth A03-57. The intention was originally that the book would be printed before the exhibition but the turbulent situation in the oil market has delayed that somewhat. I will also deliver a lecture on Saturday at 10.30 AM in Seminar Hall E1. Olle and I hope to meet some of you! Det har varit tyst några månader men det beror inte på att jag lagt av med Peak Oil utan snarare tvärt om. Jag har med 100% fokuserat mig på att skriva en ny svensk upparbetad version av Peeking at Peak Oil med namnet En Värld Drogad av Olja. Den kommer att presenteras på bokmässan i Göteborg den 24-27 september. Om ni är på bokmässan så är det monter A03-57 som ni skall besöka. Det var meningen att den skulle varit tryckt till bokmässan, men den turbulenta situationen på oljemarknaden har fördröjt tryckningen något. Jag skall också hålla ett seminarium på lördag kl 10:30 i seminariesal E1. Hoppas att Olle och jag träffar några av er. I was wondering what happened to you. I was thinking the CIA might have got you like what they did with Colin Campbell outside his home. Welcome back to cyberspace. Looking forward to your new edition. 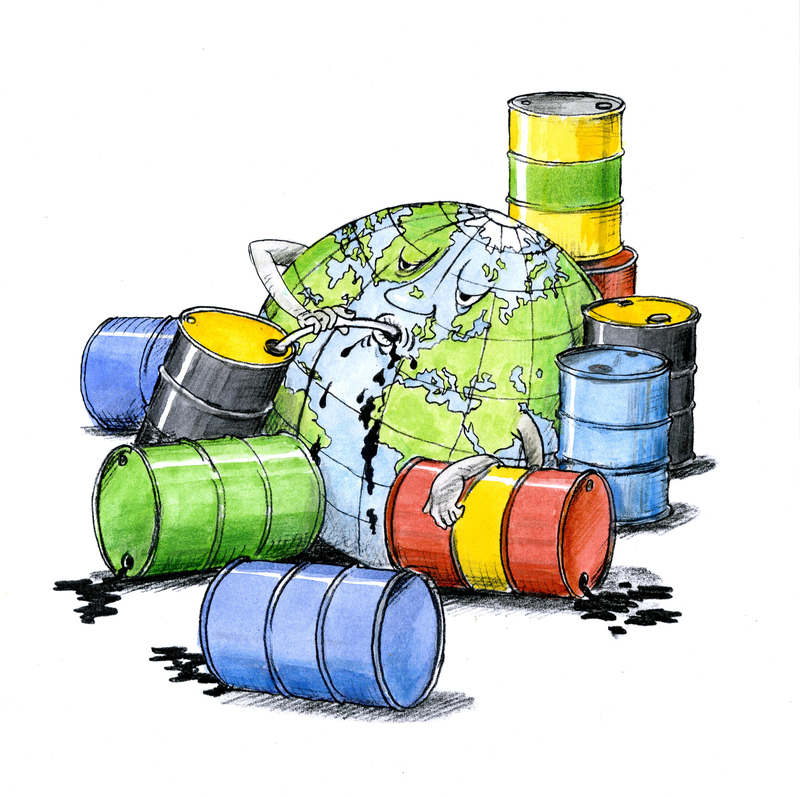 2015 might be the year of peak oil, defining oil as total liquids. What is your estimation, how many years of relative cheap crude oil do you see ahead? Not the Colin Campbell who is an oil geologist. Fille – I in fact suggested, albeit “Tongue in cheek” that the CIA abducted Prof Aleklett. I recalled the section in “Peeking at Peak Oil” where the agent from the CIA called the oil geologist Colin Campbell you refer to, from a telephone box down the street from his home and then conducted a clandestine meeting with him at a nearby cafe. It was amusing. So it seems there are two Colin Campbell’s that the CIA were interested in! Thank you for all you have done. Your previous book has saved my life, my family’s, and countless others’. The Hills Group in Virginia, USA, published an interesting report in 2014 called the ETP model. If their “maximum consumer affordability price of oil” projections prove correct, it would be interesting to know how much of the oil sector will remain operational with year-over-year declining oil prices. Of course, subsidies can support operation costs to an extent, but it appears as though volumetric production projections that relied on high oil prices will prove to have been optimistic. The fluctuations in the value of various popular currencies makes the ETP model’s USD-based projections a bit hard to analyze for me personally; there is speculation that the USD is currently overvalued 20-30%, but even if we assume that to be true (and of course it’s impossible to know), it is worrying that oil is not selling closer to the $75 USD price that was projected to be the maximum affordable price for 2015. I am not mathematically literate enough to evaluate their model. However, I have found it to be a useful lens through which to examine the publishings of UGES and others. Thank you again for your extraordinary courage and selflessness. You are one of the great heroes of our time. I look forward to reading your new book; Peeking at Peak Oil changed the way I thought about technological civilizations, both on earth and elsewhere in the universe. Your publishings are of tremendous value to contemporary and future thinkers. Hello Mr Aleklett, i am interested in your opinion about the hills group too. I have ordered their report and used my remaining universitary thermodynamic knowledge to repeat the calculations of the hills group and ended in the conclusion that all calculations of them are physically correct. I did these calculatios using a matlab script which i can send to interested people. In addition, i believe the conclusions concerning the oil price are correct. Unfortunately, all people i know either dont have a physics background or do not accept peak oil, so nobody is accepting the results. Please check the pages of the hills group and give an answer.